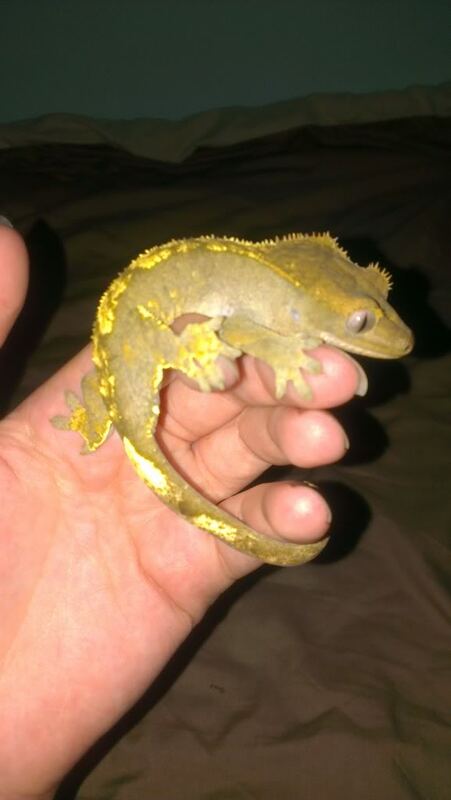 » My gecko is really thin and possibly sick? » I'm new - here's my ideas for my habitat- can you help? 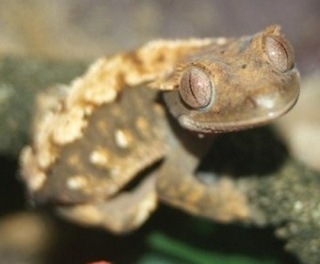 » Can crested geckos eat only fruit? » Wood Help! Please Reply ASAP! Hi Everyone! I'm 10 and planning on getting a crested ASAP. I'm looking to learn everything I can! I have a 25 gallon fish aquarium that I'd like to stand upright so my crestie can climb lots. Any advice you have would be greatly apprecicated! Just thought i would introduce myself. My name is Rob and i have just aquired my first cresty. I have been building his viv for quite a while and reading a lot about them before i bought him. I will post some pictures of him and his custom viv as soon as i can. Thanks for your time. Rob. 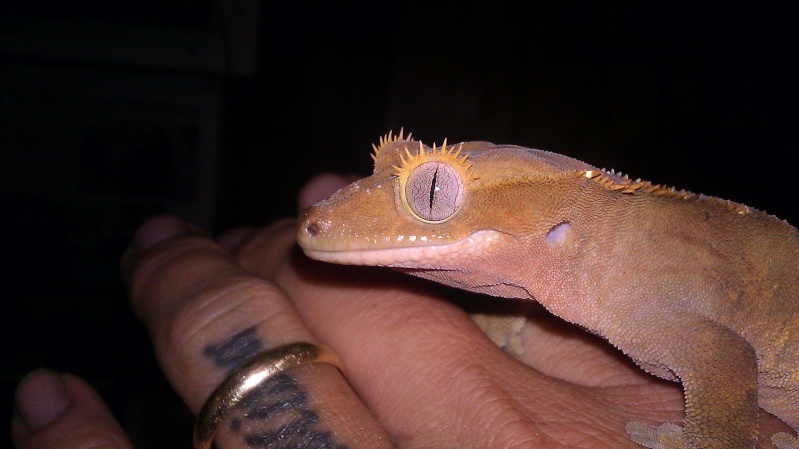 Hey crestie forum people. I posted a few photos of my 2 cresteds. I am wondering what kind they are.. if any. I do believe they are morphs, but don't know enough to say, and googling only leaves you with just enough information to be dangerous!! 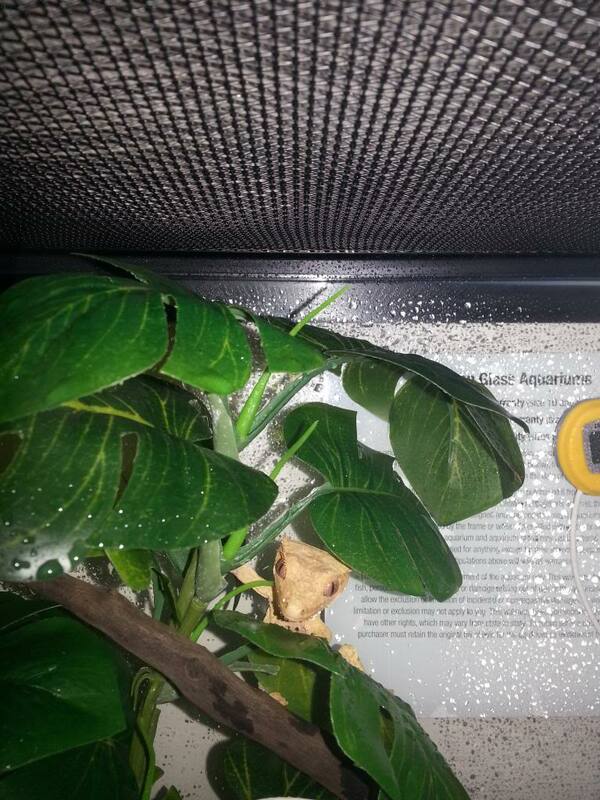 Hi im relatively new to cresties i have one and she is about 3-4 months old. She isnt really interested in live food and when they do catch her eye she struggles to catch them. she is half the size of my boyfriends and they are roughly the same age (his being a month or so older) yet his is twice the size. could i be doing anything wrong? Hello!! 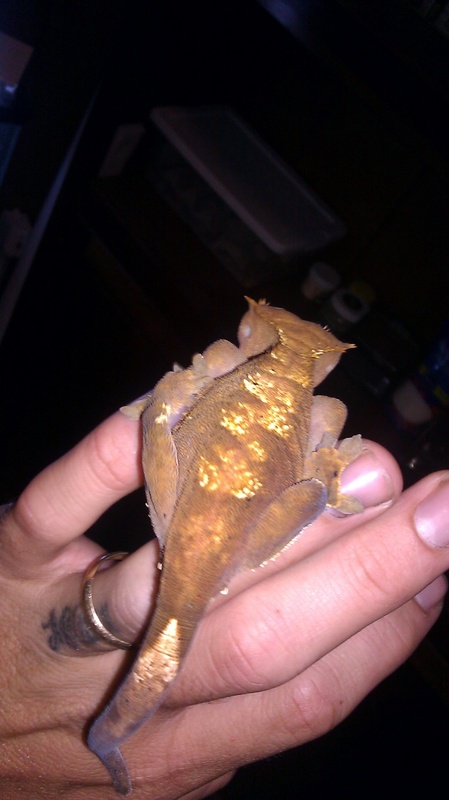 check out my gecko! So I'm new to the crested world! I've owned geckos similar previously, i just got my first crested last month. He seems to be a flame! I'm not sure quite yet, if i find out how to post pics i will. I'm guessing he or she is only a couple months. I'm in love Needless to say! I've given him a great terrarium and he seems to love every bit of it!